It may sound cheesy, but it’s always my dream and goal in life to make a difference in the world and to help others. I always thought this would be something I would have to do outside of my career, however, being an outreach intern for Illinois-Indiana Sea Grant allows me to integrate part of this dream into my career. This coming fall I will be going into my senior year at the University of Illinois. I am majoring in advertising and minoring in both communication and sociology as well as receiving my certification in public relations.  In addition, I am part of the James Scholar Program in the College of Media at U of I. 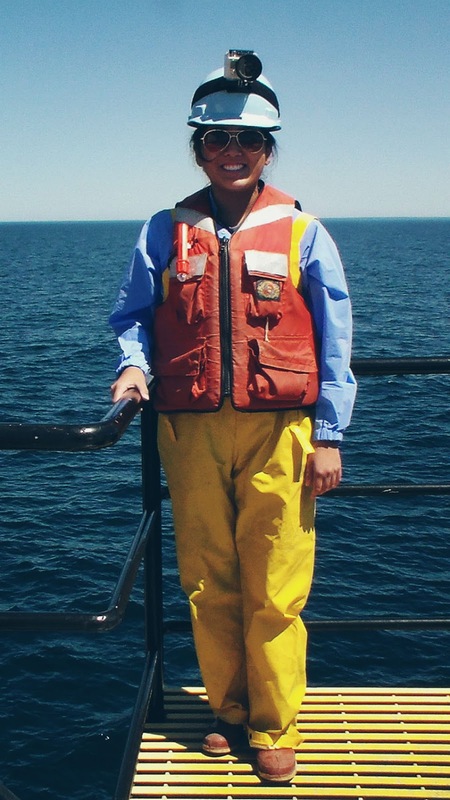 As an intern, I assist with outreach efforts associated with R/V Lake Guardian to increase awareness of the Lake Guardianmission and the research conducted on the ship. 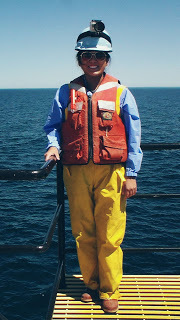 My specific duties entail developing a brochure about the ship, assisting with the Lake Guardian Dispatch blog, maintaining and reorganizing the Lake Guardian website, assisting with daily social media efforts, and assisting with a kiosk design for the ship. 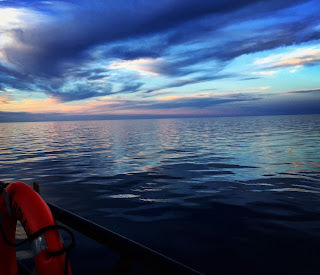 This past week (June 15-18) I was given the opportunity to climb aboard the Lake Guardian where I was able to develop a full understanding of the vessel along with assist with ongoing sampling, and conduct outreach efforts while on the ship. Robert Browning once said, “Ah, but a man’s reach should exceed his grasp, or what’s a heaven for?” This past week definitely exceeded my own grasp. My experience on Lake Guardian was a completely new experience for me and I admit that I was a little nervous going into it. After being on board for just a few hours, I was quickly reminded of how rewarding it is to take on a new experience. It truly makes you grow as a person and appreciate new things in life. A typical day for me consisted of photography and videography, live-tweeting, late night blog posting, and assisting with ongoing sampling throughout the day. The work days were long, but seemed to go by quickly. So did my time on the ship, I enjoyed every minute of it. Our overall trip mission was to collect water, plankton, and benthic invertebrates for organic chemical analysis. 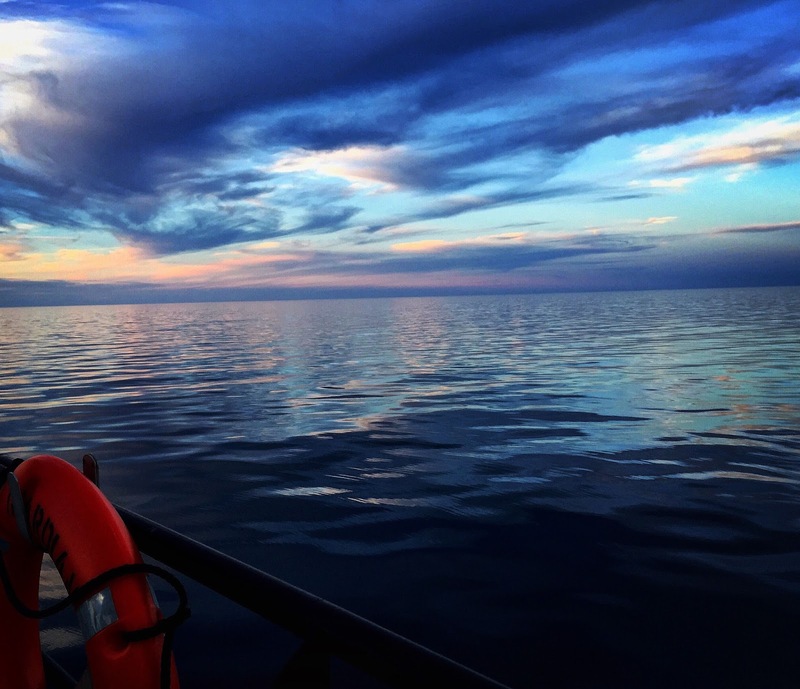 This survey is known as the “Great Lakes Fish and Monitoring Surveillance Program: Pushing the Science (Clarkson University)” and assesses how contaminants cycle throughout the food web in Lake Michigan. The vessel consisted of a team of crew members (marine technicians, seamen, engineers, the captain and mates) as well as members from Clarkson University, SUNY Fredonia, SUNY Oswego, NOAA, U.S. EPA GLNPO, and IISG. The trip was most definitely the experience of a lifetime. I am extremely grateful to have been given the opportunity to experience the Lake Guardian hands-on and to help keep the Great Lakes clean for all through this internship.